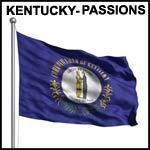 Looking for a passionate Kentucky Man I love living in Kentucky. Originally from Richmond, Va, I have lived here for 34 years. I love animals, and have loved, own and ridden horses all my life. I also have four cats and a dog. I love both the country and the city. Nashville is only an hour away and I like to go there for a fun night out! I am joining this site in hopes of finding a relationship. I am looking for someone who has a zest for life, pleasing to the eye, enjoys being alive, one open to new ideas, learning, fun, and adventure. I am only interested in men who want a relationship, will talk on the phone, and want to actually meet.I do not want a chat partner, or a wink, but actual contact leading to conversation and then a meeting. Someone who lives near Bowling Green, KY, or is able to travel here to meet. I am looking for a relationship with communication, is open and honest, comfortable to be in, and committed. I am looking for a man who is confident, upbeat, secure and proud of himself and his accomplishments. Strong, sensitive, compassionate, romantic and giving. A man that makes me feel good in many ways. I'd like a man that likes to have fun, enjoys laughter, respects humanity and nature, and an all around friendly guy. I am very outgoing, upbeat, cute, artistic, passionate, love life and friends, and really fun type of gal!. I am looking for a man that I enjoy being with and he enjoys me! I want a man with confidence, presence, can take of himself, and one I can trust. One I can look up to and respect, and one who respects me. Life can be so mush fun, and I'd like to find someone to share it with. I'm looking to find someone to spend the rest of my life with, so only serious inquiries, please! Maybe this free spirited filly will stop running wild and be tamed a bit! Hopefully. Please have a photo. Help us keep Kentucky-Passions free of spam and fake profiles.